SARONNO, Italy - Between 753 and 509 BC, the area across the Tiber that we now call Trestevere, was not part of Rome at all. It belonged to the pesky Etruscans and was called Ripa Etrusca (Etruscan bank). When Rome conquered the area in order to gain control of, and access to, the river from both banks, it was because it was interested in building on that side of the river. In fact, the only connection there was between Trastevere and the rest of the city was a small wooden bridge called the Pons Sublicius (Latin: "bridge built on wooden piles"). And it remained that way for a very long time. But are 509 BC, the number of sailors and fishermen living and working on the river had increased. Immigrants from the East had also settled there, primarily Jews and Syrians. 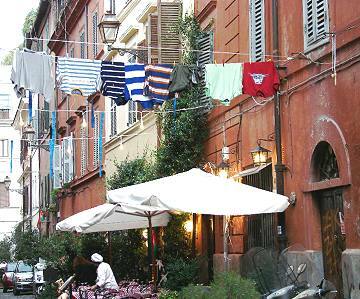 It was only when Julius Caesar and other important Romans built villas in Trastevere, that the neighborhood began to change. However, it wasn’t until 43 BC (more or less), when the Roman Emperor Augustus divided Rome into 14 regions (regiones in Latin), that Trastevere was officially considered a part of the city. 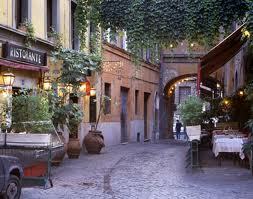 Modern Trastevere was Region No. XIV and was called Trans Tiberim. 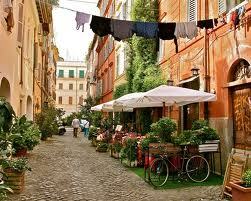 The streets and alleys remained unpaved till 1400, when Pope Sixtus IV had bricks laid. However proving unsuited to wagon wheels, they were later replaced by the "Sampietrini" (cobblestones), which remain to this day, making navigation by bicycle and moped, a hazardous undertaking. 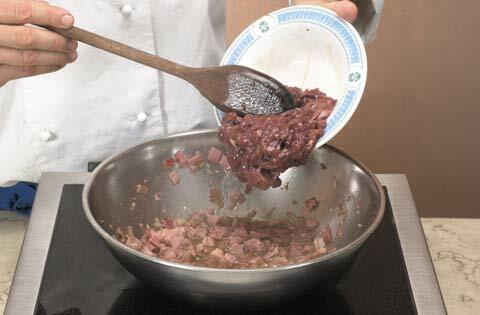 Today’s recipe is for a delicious Trastevere style risotto, which unites the taste of northern Italy and the robust flavors of middle Italy. 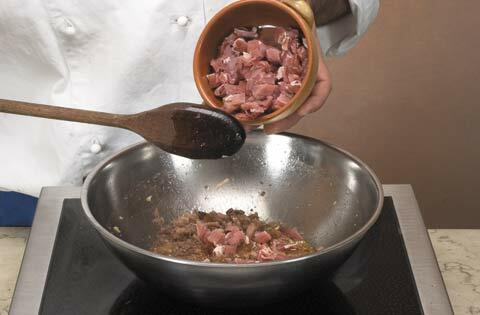 Step 1 - Cut the pancetta into strips, put it into a casserole with 30 gr of butter and the finely chopped onion, and sauté. 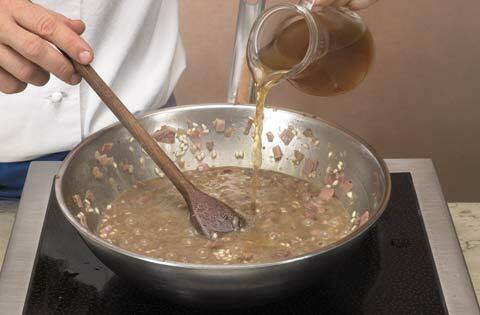 Step 2 - Pour in the Marsala, allow to evaporate, and add the diced prosciutto. Step 4 - Add the rice and toast it. Step 5 - Pour the stock over the rice and stir with a wooden spoon. 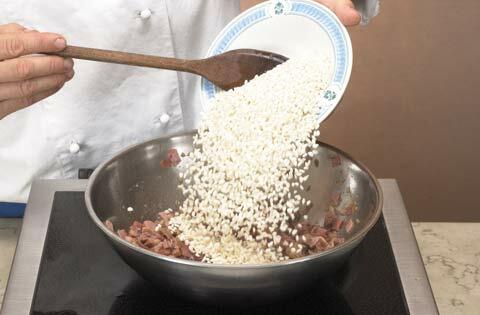 The stock must be added little by little until the rice is cooked “al dente”. 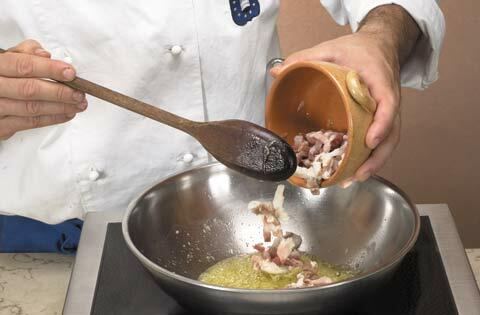 Adjust the seasoning, firstly with some pepper, and then the salt. 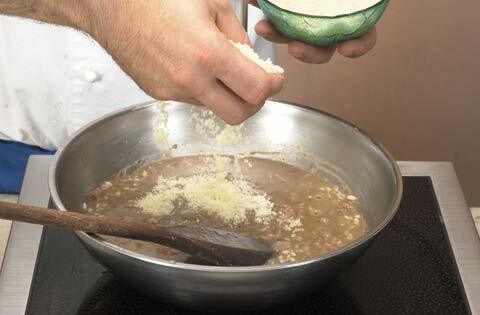 Step 6 - With the heat off, add the remaining butter and stir in the Parmesan cheese.